A benzene exposure lawsuit may be available to those who have been exposed to benzene products and have been diagnosed with acute myelogenous leukemia AML, myelodysplastic syndromes MDS, Aplastic Anemia (AA), Multiple Myeloma, or Non-Hodgkin's Lymphoma (NHL). In a lawsuit for AML Leukemia, MDS, or NHL resulting from benzene exposure, injured party may be entitled to seek actual and punitive damages in these lawsuits. In the typical benzene lawsuit, the benzene manufacturers, pipe fitter welders, maritime employer, staffing companies, third party contractors, tug or barge owner, benzene suppliers, refineries and others may be sued for lack of warnings of the dangers of benzene to the worker or product user. Before filing a benzene exposure lawsuit, the correct product ID is a must. Whether the exposure was from pure benzene, crude oil, naphtha, xylene, toluene, jet fuel, aviation fuel, gasoline or other aromatic hydrocarbons or from the 1000's of products that containing benzene, the client and legal team must be able to document a chemical or benzene exposure history to these products and byproducts. This can be a time consuming process, therefore MDS & AML leukemia patients need to contact a lawyer to discuss their legal rights before filing a benzene lawsuit, or claim. If this is done as soon as possible from the date of their diagnosis, it allows adequate time for proper identification and case investigation before a lawsuit is filed. Often these clients with AML leukemia, MDS, or Non-Hodgkin lymphoma were unaware of their past exposure to benzene in the products some used daily & weekly until after extensive investigation. Research has shown benzene to be a human carcinogen (cancer causing substance). With exposures from less than 3 years to more than 30 years, individuals have developed, and died from leukemia. Long-term benzene exposure may affect bone marrow and healthy blood production. Short-term exposure to high levels of benzene can cause drowsiness, dizziness, unconsciousness, and death. According to research, as many as 238,000 people may be occupationally exposed to benzene, toluene, xylene, naphtha and other aromatic hydrocarbons in the United States. Individuals employed in industries that make or use benzene may be exposed to the highest levels of benzene. These industries include benzene production (petrochemicals, petroleum refining and coke and coal chemical manufacturing), rubber tire manufacturing and storage or transport of benzene and petroleum products containing benzene. Other workers who may be exposed to benzene because of their occupations include: laboratory technicians, auto mechanics, gasoline aviation fuel & jet fuel transporters, printing press workers, pipefitter welders, chemical plant workers, steel workers, paper and wood pulp workers, denture adhesive users, printers, painters, rubber workers, leather and shoe makers, firefighters, gasoline truck drivers, pesticide factory workers, pipe fitters, refinery workers, oilfield & oilrig workers, barge workers and tankermen, and many ship & maritime workers. AML leukemia or Acute Myelogenous Leukemia is a blood cancer and is known by several other names including acute myeloblastic leukemia, acute myelocytic leukemia and acute nonlymphocytic leukemia. AML is not inherited or contagious. AML develops when there is a defect in the immature cells in the bone marrow. The exact cause of AML is unknown, but some environmental factors are linked with AML and MDS, also known as pre-leukemia, including exposure to radiation and benzene. AML occurs in all ages but more often in older adults. Acute myelogenous leukemia (AML) symptoms result from the body not producing enough healthy blood cells. Healthy bone marrow makes blood-forming cells that grow into the three types of blood cells: red blood cells, white blood cells and platelets. An AML patient's bone marrow makes too many blast cells (immature white blood cells). Normal blast cells turn into a type of white blood cell called granulocytes, but the leukemia blast cells do not. At the same time, the marrow cannot grow enough normal red blood cells, white blood cells and platelets. Myelodysplastic syndromes (MDS) and benzene exposure is also well known and documented. Myelodysplastic syndromes (MDS are a group of blood cancers type diseases that also affect the bone marrow and blood. About 12,000 new cases of MDS are diagnosed in the United States each year. Although children and young adults can have MDS, most MDS patients are over age 60. About twice as many men as women have the disease. The cause of MDS is not completely known, but many studies have strongly linked it to exposure to benzene in solvents, degreasers, pesticides, herbicides, the chemical benzene, jet fuel gasoline and many more industrial and household products. MDS is sometimes called myelodysplasia, preleukemia or smoldering leukemia. If you have been diagnosed with MDS, call us as our law firm routinely represents workers in a MDS Benzene lawsuit and understand the process of identifying the products and pursuing the appropriate litigation to protect the rights of the worker. If you or a loved one have been diagnosed with acute myelogenous leukemia (AML), myelodysplastic syndrome (MDS), Aplastic Anemia (AA), Multiple Myeloma or Non-Hodgkin's lymphoma (NHL) then you need to consult with an attorney to discuss a potential benzene exposure lawsuit. Talk to a Board Certified Personal Injury Trial Lawyer, certified by the Texas Board of Legal Specialization, with 30+ years of experience. Call 1-800-883-9858 or click the link below. © 2006-2017 The Willis Law Firm, All Rights Reserved. Please Read the Law Firm Legal Notices & Disclaimer. NOTE: If you have been exposed to any refined petroleum products or chemicals containing benzene, toluene, xylene, naphtha or any aromatic hydrocarbon and have been diagnosed with Acute Myelogenous Leukemia, AML Leukemia, Myelodysplastic Syndromes (MDS), Aplastic Anemia (AA), Multiple Myeloma, or Non-Hodgkin's Lymphoma (NHL), then you may have a right to file a benzene exposure lawsuit. 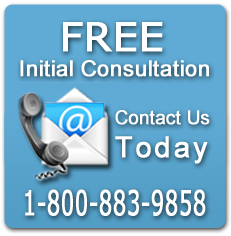 Call for a Free Confidential Consulation. Do Not Delay. Some states have filing dealings or statute of limititations that expire as short as one year from date of diagnosis and/or other strict conditions. Talk to a benzene exposure lawyer and get the help you and your family deserve. All Cases Taken on a Contingency Fee Basis. No Attorney's Fee or Expenses Unless a Recovery Obtained.